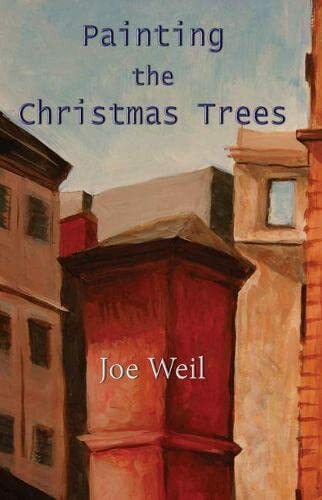 In "Painting the Christmas Trees", Joe Weil explores the meaning of neighborhood, both its rootedness and its transience in terms of the port city of Elizabeth, New Jersey, in which he was formed as a poet. His work mixes different registers of language, from the Rust Belt working class speech of his family and friends to the poetic influences of his first reading: Roethke, Williams, Stevens, and Yeats. His Irish Catholic working class upbringing instills his poetry with a sense of communion. The poems in this book are anchored to the loss and the brio of people he has known and worked among both as a toolmaker and as a poet. He is essentially a spiritual comic in so far as his interest lies as much with the vitally ugly and broken as it does with the smoothly eloquent. Unlike many volumes of poetry, "Painting the Christmas Trees" is full of characters, not unlike a novel. Weil believes a poet should reclaim the name of storyteller. He is not ashamed to be one. JOE WEIL was born and raised in Elizabeth, New Jersey. At the age of twenty he dropped out of Rutgers and became a toolmaker in order to help out his family. Weil remained a toolmaker for twenty years while writing and publishing his poems, building a reputation on the New Jersey/NewYork poetry scene. He is now an instructor in the graduate and undergraduate creative writing departments at SUNY, Binghamton. His previous books include In Praise We Enter, A Portable Winter, and The Pursuit of Happiness.